Twisted Pants from Lemaire. 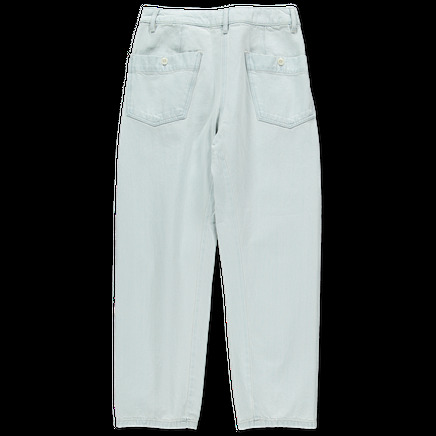 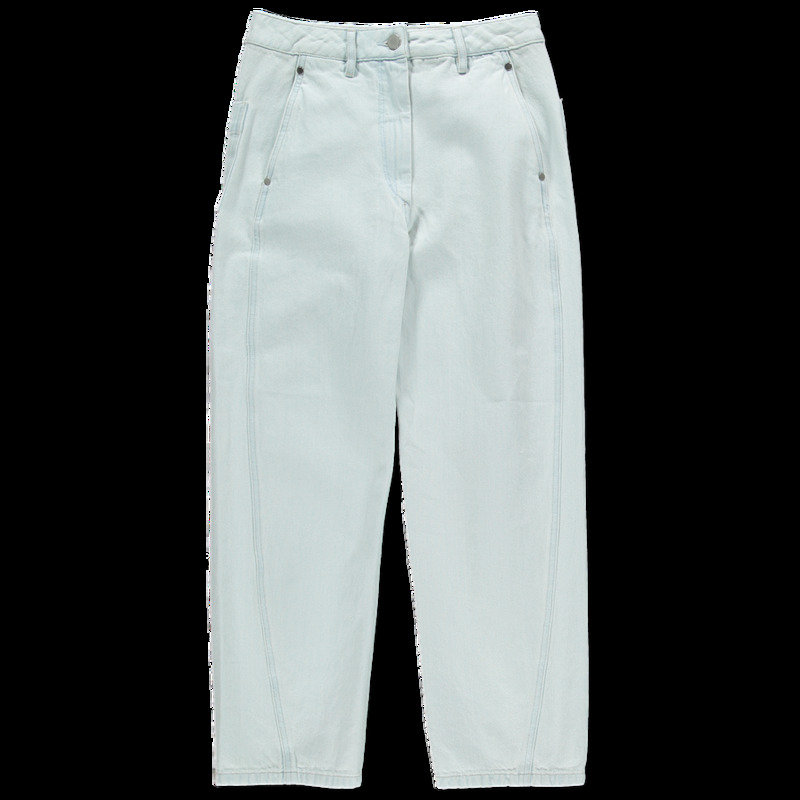 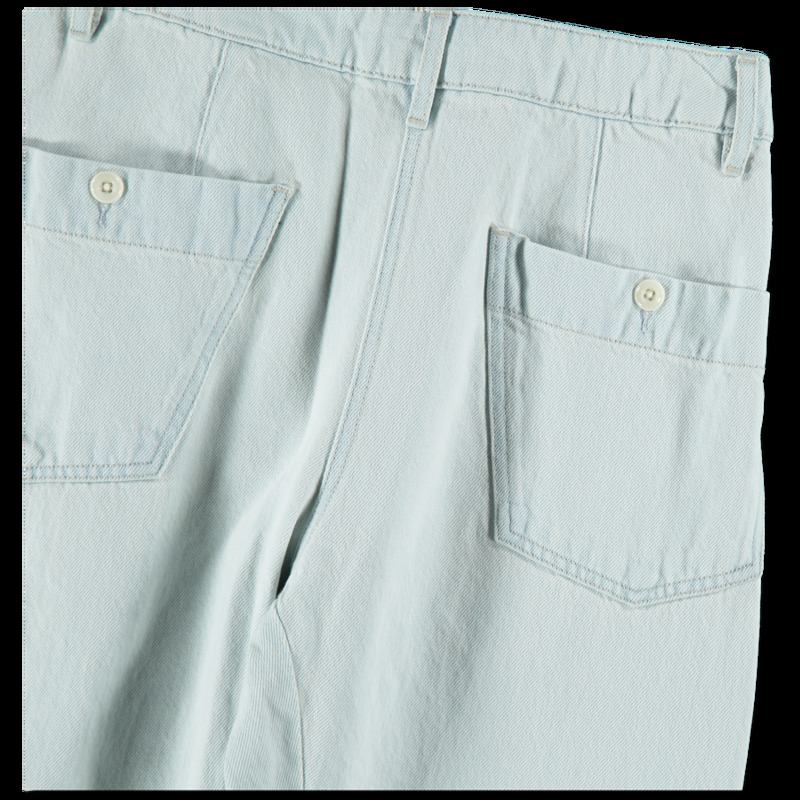 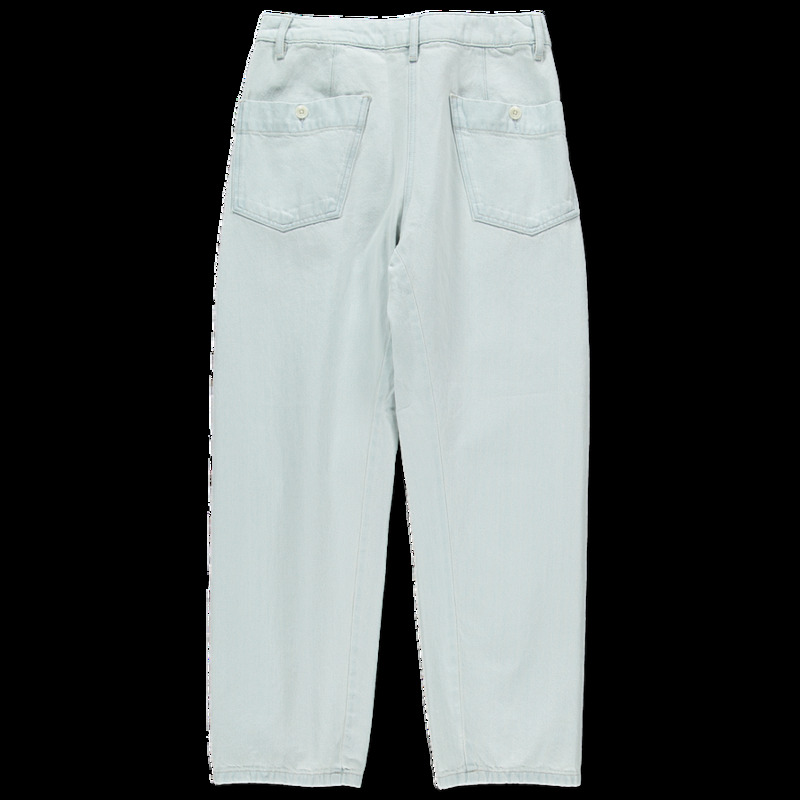 Straight-leg denim trouser with twisted outseam. 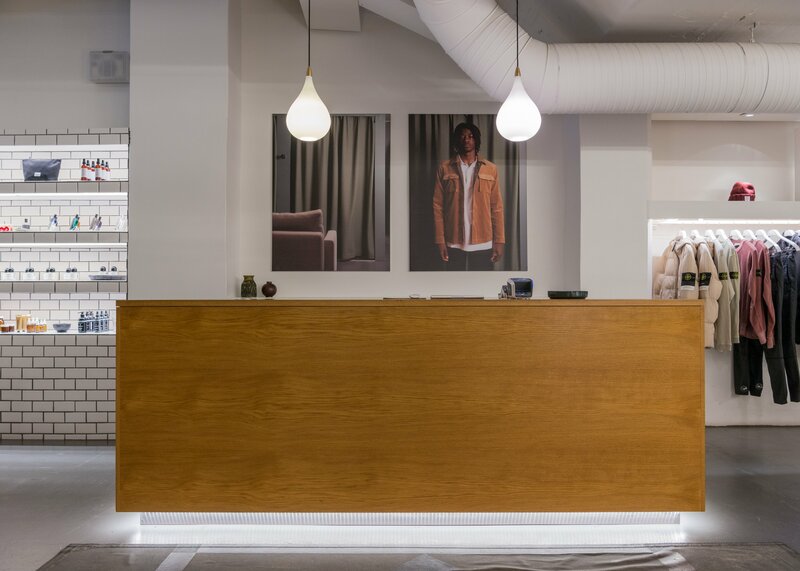 High rise. 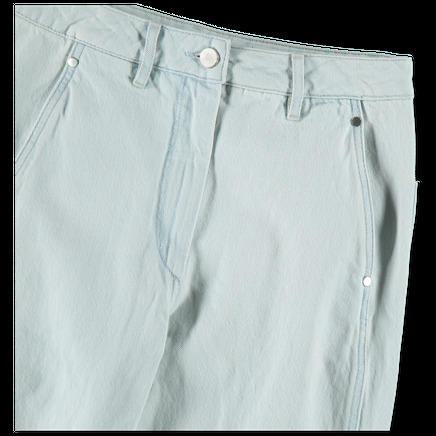 Zip fly with silver-tone button fastening. 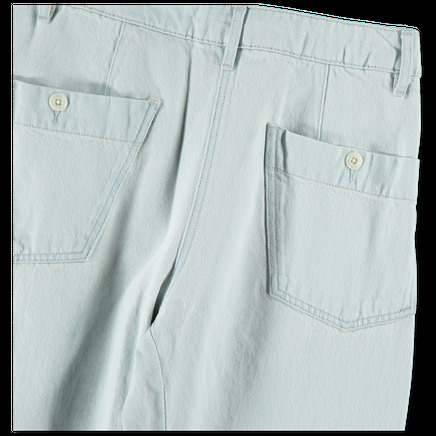 Slant front pockets, back patch pockets, tonal belt loops.